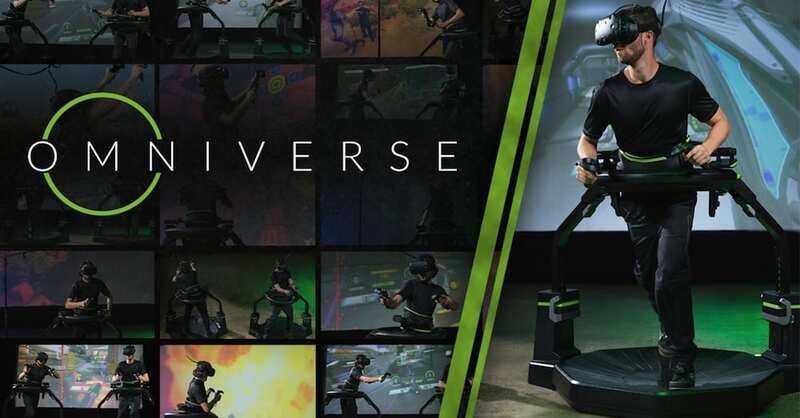 Virtuix, developer of the “Omni” virtual reality treadmill and “VR ARENA” esports attraction, announced that its Omniverse gaming platform has hit one million plays. The company also announced it had launched the 20th game on its proprietary platform, a title called “Bull Runner,” which simulates the annual “Running of the Bulls” festival in Pamplona, Spain. Omni’s unique approach allows a full, free roam VR experience in a small footprint, a critical requirement of retail operators. To use the Omni system, players wear special overshoes which stretch to fit over normal footwear. The player is held in place by a comfortable but firm harness. The HTC Vive VR headset is dropped down from above each player, so no wires get in the way to disrupt the VR illusion. The players’ feet slide along the plastic dish under their feet, while inside the simulation, they move forward, providing the unique full immersion of free roam VR in a much, much smaller space.